India is fast emerging as the next big opportunity for the international bicycle brands. Major Indian bicycle manufacturers Hero Cycles, Avon Cycles, and Atlas Cycles are busy pushing their own home-grown brands. TI Cycles meanwhile, has been able to find synergies with international bicycle brands by launching a series of global tags, along with its very own hi-priced BSA & Hercules marques. NEW DEHLI, India – India is fast emerging as the next big opportunity for the international bicycle brands. Major Indian bicycle manufacturers Hero Cycles, Avon Cycles, and Atlas Cycles are busy pushing their own home-grown brands. TI Cycles meanwhile, has been able to find synergies with international bicycle brands by launching a series of global tags, along with its very own hi-priced BSA & Hercules marques. “There is certainly some kind of rub-off or synergy in global brands we promote and our in-house brands,” said Arun Alagappan, President, TI Cycles of India. TI has launched two more global brands, GT and Mongoose, to strengthen its presence in the premium segment. The company sold 4,000 units last year and the target for the current year is 10,000 units. The other premium names TI imports and sells are Cannondale, Schwinn, Bianchi, and Ducati. A few years back sceptics have dismissed the success of the premium-priced global brands in the Indian market. In the meantime the market for the premium range brands have already swelled to sizeable numbers. “As per guesstimate, the market has reached something close to 20,000 units and this would increase further at a much faster rate in the years to come,” speculates Alagappan. When checked with a few distributors the figure may be anything between 25,000 – 30,000 units. “There is a huge potential for organised Cycle selling in India. Definitely it will grow to a different level… in the next 5 years,” says Zahir Laliwala, CEO of Sportxs. Bangalore based Sportxs is one of the biggest bicycling outlets in India, housing all kind of bicycle accessories, from foot pumps to car bike racks, baby seats, and training gear, along with bicycle brands such as Merida, Raleigh, Schwinn, Cannondale, Bianchi, Ducati, Btwin, Track , Firefox, and Giant. Meanwhile, the international brands are increasing their reach in the Indian market by strengthening distribution networks and reaching out to Tier Two cities. “We have rolled out our business in a step by step manner focusing on the Western and Southern regions of the country. Probike has been able to set up a distribution and sales network of 35 dealers across West and South India. 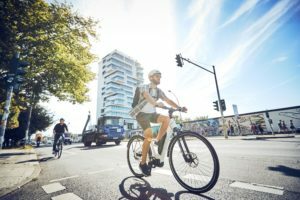 We also supply to organized retailers Hypercity and Reliance, with the Raleigh range of bikes and accessories and bikes under their own brands,” explains Jaymin Shah, Country Manager, Probike. Besides that, active bicycle communities have been created over the years. The numbers are not available, but they are easy to spot on social networking sites such as Facebook ,Twitter and blogs. Sport18, the sports marketing division of the Network18 group and TI Cycles, launched the second edition of the BSA Hercules India Cyclothon 2011 in Bengaluru. Attended by 6,863 participants, the event was one of the largest mass cycling events ever in Bengaluru. 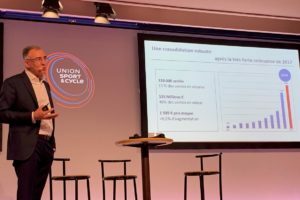 The event saw participation from institutions such as the Army and corporations such as Infosys, iGATE, Accenture, Thomson Reuters, SIEMENS, IBM, Philips, along with the fast growing cycling clubs in the city. Indian bicycle manufacturers have produced close to 15 million bicycles in 2010. “About 4 to 4.5 million bicycles are being produced by the Tier Two bicycle manufacturers or the second range bicycle makers,” says Mr Satish Dhanda, head of the bicycle panel for the Government of Punjab. About 1.5 million bicycles have been ordered under the promotional schemes in 2010. Meanwhile, complete Chinese bicycles have failed miserably in the Indian market due to a variety of reasons, including differences in specifications. Indian bicycle and components makers exported bicycle and components worth about $166 million US in 2010. Leading Indian manufacturer Hero Cycles has announced earlier that it is planning to set up a new bicycle plant to cater the high-end US market. “Nothing has been firmed up as yet, various options are under consideration,” says S. K. Rai, President (Works), Hero Cycles. The company has invested in paint shops and work shops during 2010. 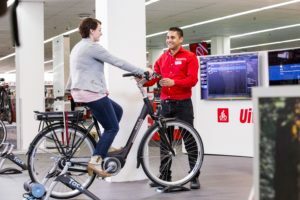 “Last year was fabulous as production and sales in the month of December alone reached a record level of 511,000 units, which we believe is the highest number of bicycles produced by anybody anywhere in the world under one roof,” says Rai. 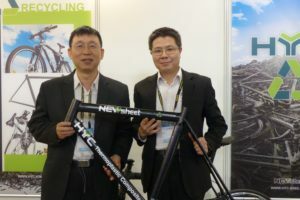 In 2010 Hero Cycles manufactured around 5.6 million bicycles and exported around 350,000 bicycles for an export turnover of about $26 million US). TI Cycles manufactured about 3.8 million bicycles in 2010. “We normally maintain the same production level. Though, we are increasing the share of fancy bicycles every year. It has reached almost 65% in 2010,” explains Arun Alagappan. TI Cycles annual turnover reached about $200 million US in 2010. The company, which has almost withdrawn from exports, is eager to re-open the option, if it makes financial sense. “We do not want to export for the sake of export, unless we make some money there is no point making exports,” Alagappan notes. Atlas invested heavily in research and development in 2010, bringing a new paint plant and technology online. “During 2010, we have opened two new markets – Holland and Germany, by developing manufacturing customer specific bicycles for the European market and these bicycles are now already being exported to both countries,” said Gautam Kapur, Joint President, Atlas Cycles (Sahibabad) Ltd. The company expects an overall growth of about 20% in the domestic market and about 15% in the international market during 2011. To achieve this target there are specific plans to launch new MTBs, Ladies and Kids models and target a growth of 25%. “In the international market too, we have launched the customer specific product for theEuropean market and neighbouring country Bangladesh and are expecting an overall growth of about 15%,” said Kapur. Atlas manufactured 1.7 million bicycles in 2010 and exported 70,000 units. It recorded an overall turnover of about $88 million US and exported bicycles worth $2.9 million US. Although Indian components makers are no match to their Chinese counterparts in the international market, they were always dominant in their home market. 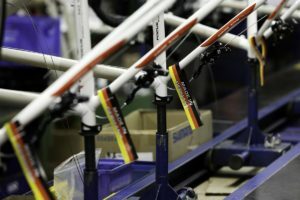 Now Chinese components are showing up in the Indian market and the country’s cycling parts manufacturers’ association is raising the alarm. “Now the Chinese factor is hurting us in our home market,” says D. S. Chawla, President, United Cycle Parts Manufacturers Association (UCPMA) in an interview with Bike Europe. Although the imported parts are claimed to be of inferior quality to those produced in India, the large quantity is what’s worrying the local industry. “As per an independent estimate, components worth about $100-125 million US have already entered into the Indian market,” says Chawla. Now the UCPMA is lobbying the Indian commerce ministry to ban such imports in the Indian market. It is known that components for roughly 15 brands, including Bhogal, Dass, and KW, to name a few, are imported from China. Chawla says those components include items such as chainwheels, pumps, spokes, hub cones, ball bearings, pedals, and freewheels. Unfortunately, the association feels it may not be easy to stop the inflow as it requires some serious action on part of the government and the Indian bureaucracy has other important things to do. Moreover, the small component makers do not have the money or clout to register their brands in the Indian and international market. “Bigger players could register them internationally, but it is not possible to for smaller players to protect their brand identity in the international market,” says a worried Chawla. The Indian bicycle industry has not made much progress and is no match for China when it comes to production volume over the past decade. According to UCPMA, Indian bicycle production was 13.1 million in 2001, compared to 55 million by China. While Indian players made marginal growth in the last ten years, Chinese manufacturers have shown impressive growth. For 2010, Indian bicycle production is likely to have totalled at15 million units, for a marginal growth rate of about 16%. Chinese production will total approximately 90 million units in 2010, nearly doubling in a decade. Moreover, the share of India’s ubiquitious black city bike has gone down to 70% from 90% a decade ago, while the share of roadster-style bicycles has dropped from 70% to 30%.